Dedicated drivers. Intelligent business owners. Skilled technicians. Detroit is proud to have each and every one of you as a part of our community, and we want to keep you connected to everything that goes on in our world. This community hub is your resource for the latest Detroit news and industry articles. The hub also features the latest Detroit™ product and driver training videos. With the community hub’s Road Champions and Million Mile Club, you get the opportunity to read real stories from drivers who use Detroit products every day, giving you a first-hand look at how Detroit helps to build bottom lines. Watch the latest videos from Detroit to get a first-hand look at Detroit™ products, innovations and branding information. Detroit™ engines are the most reliable, longest-running engines on the road. If you’ve logged a million miles on one, we want to welcome you to the club: The Detroit Million Mile Club. 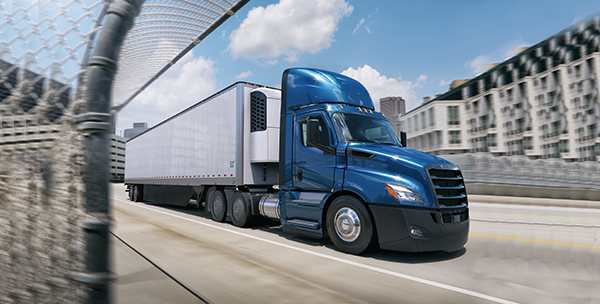 Drivers share their stories about driving their Detroit™ products. From engines and transmissions to maintenance tips, drivers share the experiences they’ve had along the way. The Detroit Blog is the source for product news, plant information, industry topics and just about anything going on within the Detroit brand. Visit the Detroit Merchandise site to get Detroit apparel, accessories, and gifts.